Seventeen-year-old Aspen is a skydiving, rock climbing, adrenaline junky. All her life, she’s been fascinated by the dragons who roam near her home in Yellowstone Park. Yes, Dragons. Though no human has ever gotten close enough to touch one. While most people avoid the national parks because of the resident dragons, Aspen spends most of her free time in search of the feared and misunderstood creatures. For her, studying the dragons is a way to escape a painful past and avoid getting too close to anyone. She’d rather track dragons in the wild and through the lens of her camera than talk to real people. But then Aspen meets a hot new guy at school, Sid King. He’s the one person she’s ever met who shares her obsession with all things dragon. But even as she feels strangely drawn to the mysterious boy, she senses he’s hiding his own set of dark and powerful secrets. When hikers start turning up dead in the park, everyone suspects the formidable predators. Unless Aspen can prove their innocence, every one of her beloved dragons is in danger of eradication. 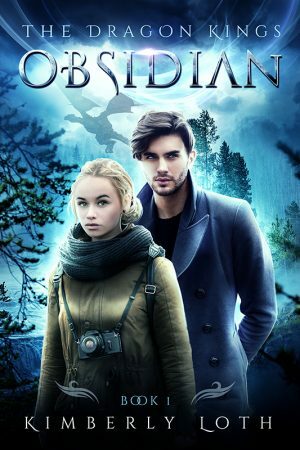 After Aspen and Sid uncover a sinister plot behind the brutal attacks, Aspen can no longer deny that Sid somehow knows more about the deaths than he should and the secrets they both keep threaten to rip their lives apart forever.